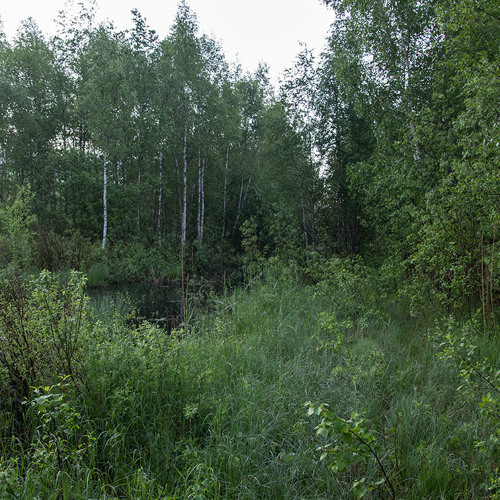 Typical mosquito heaven (or hell) in swampy forests of Estonia in the end of May. But it is also apparently heaven for Willow Warblers. Their fluting song is simple and pleasant. There are Snipes and a Bittern heard in the track. Unfortunately there was someone working with bush trimmer in forest around half kilometre away (5 AM!) and most of the recording was more or less ruined. I wonder if the strange moaning sound just before the Bitterns' "oomp" also belongs to the Bittern? Thanks, Håkan! Yes, seems like Water Rail. They didnt make their usual loud calls in that spot this morning and thats why I was a little bit confused... Maybe the season was too late for advertising calls. Hi! Nice recording. I think it's a Water Rail just before the bittern.